Around this time each year I start to form a plant list. I don't bother with a whole lot of seeds except for annuals like Sunflowers and filler annuals I like more for sentimental reasons and color. The focus is more on plugs and bare roots, often things that will flower in late summer and autumn. I don't have actual photos of this cultivar, but I was at the Mt. Cuba Center in the fall where they're currently doing a trial run of basically all the true species and cultivars on the market today. They said of all of the verities available this one had twice as many butterflies on it compared to all the rest. 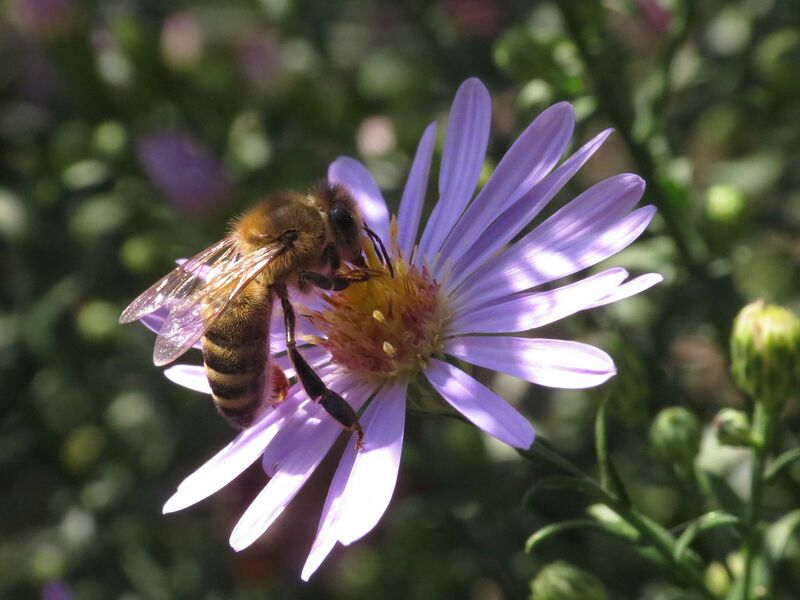 They noted the flowers were smaller than most other Phlox which likely makes it easier for the butterflies to work, but other factors like nectar quality and fragrance probably also play a roll. A failing might be that it's otherwise fairly average besides. Flowering wise I'm told other verities did better at offering blooms later int he year so it's still good to diversify. I'm looking forward to their complete trial when it's released in the next year or two. 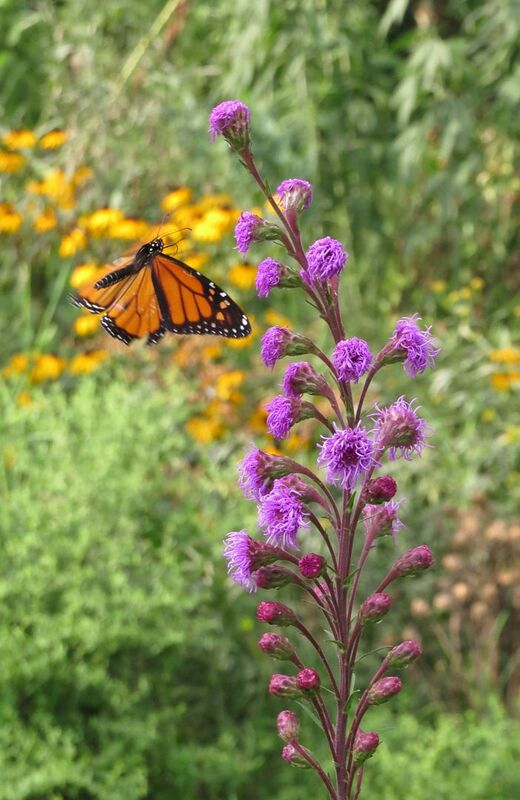 This perennial turns into a bush of purple flowers in late summer. I tried planting it in the autumn once but it failed to survive the winter. I think if I plant it in the spring it will have a better chance of establishing. My picture really doesn't do this plant any justice. I have a few planted and love them all, sadly they're not in the most photogenic of places. The one I have nest to a tree with a bird feeder next to it so the squirrels are always snapping the stems off the thing. Even with several dozen stems snapped though it still manages to impress me with tall pyramids of flowers. 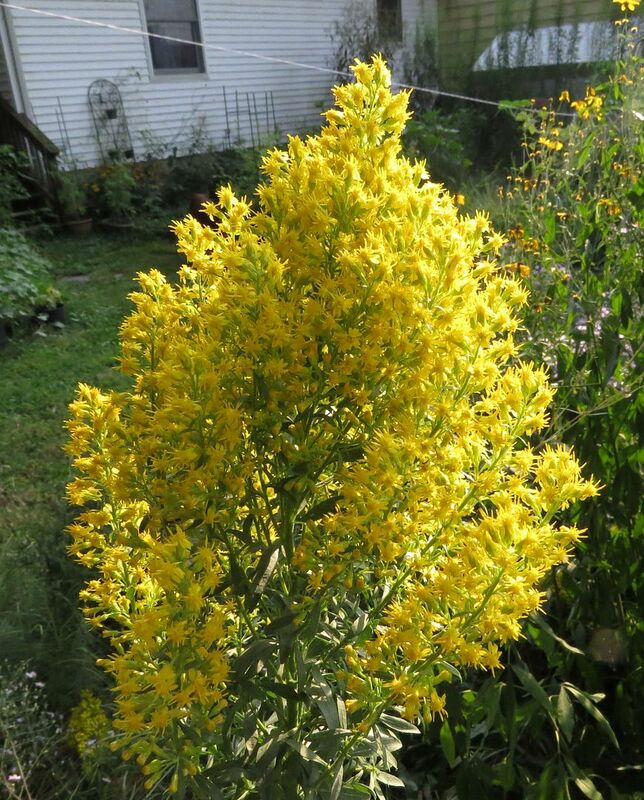 The perfect compliment to Showy Goldenrod. I bought this plant from some random nursery online and didn't expect much of it. Now that it's established I'm surprised it's not more popular. A failing, if you can call it that, is it forms a rosette of leaves with a couple dozen stems arching out in all directions. The stems tend to get a little long and arch all the way to the ground. I think it's because of the soil I'm growing it in though, too rich. In nature I believe this is meant to be a rock garden plant (hence the name) where the soils tend to be nutrient deprived. Stiff Goldenrod, Solidago rigida, Actually what's pictured above is Seaside Goldenrod but the two species look similar. 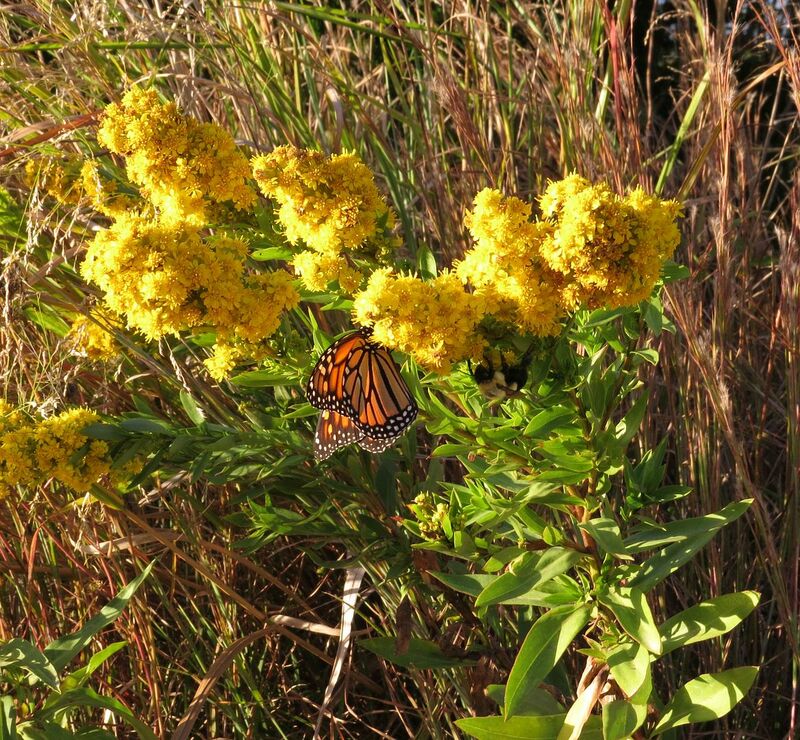 They still have broad leaves at the bottom, but Stiff Goldenrod has more flat top flower heads. This plant lives up to its name very well.... when it grows right. 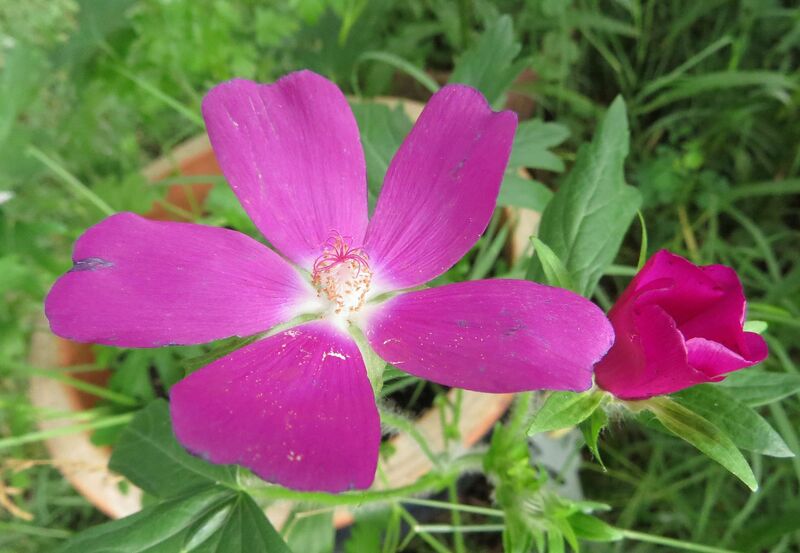 I bought it because I needed plants for my meadow garden which is dry clay but after flowering great for two years the plants slowly petered out. It's either a short lived perennial or benefits from slightly wetter conditions. Whatever the case I'm willing to give it another chance, perhaps in a more formal setting. 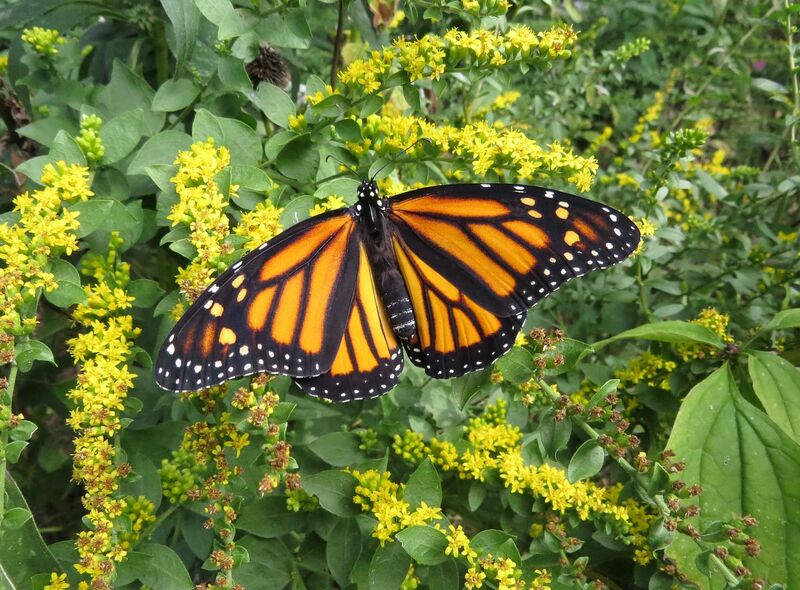 Same issue as the Showy Goldenrod. I plant these in the Meadow Garden and they do great for two years (being a biannual) but don't reseed on their own. I do have one that has lasted the test of time but it's planted next to our pond. So I'm thinking if I plant more of them in slightly wetter locations, they'll do better. This is a fantastic burst of color. Originally I was against planting these because it's not really a true meadow plant, at least not a plant everyone instantly thinks of when they think of a short grass prairie. Their distribution threw out the US is somewhat limited as well (to the point of being threatened in the wild). Something I noticed about the plant though is that they do well in dry conditions.... making it the perfect candidate for my meadow garden where few other natives seem to be able to establish. I'm also tempted to buy a second Button Bush. The one I currently have is doing okay, but has a dead limb or two I need to cut out. Also I saw it advertised for in an actual garden brochure I got in the mail. This species is rarely sold and I'd like to support that. 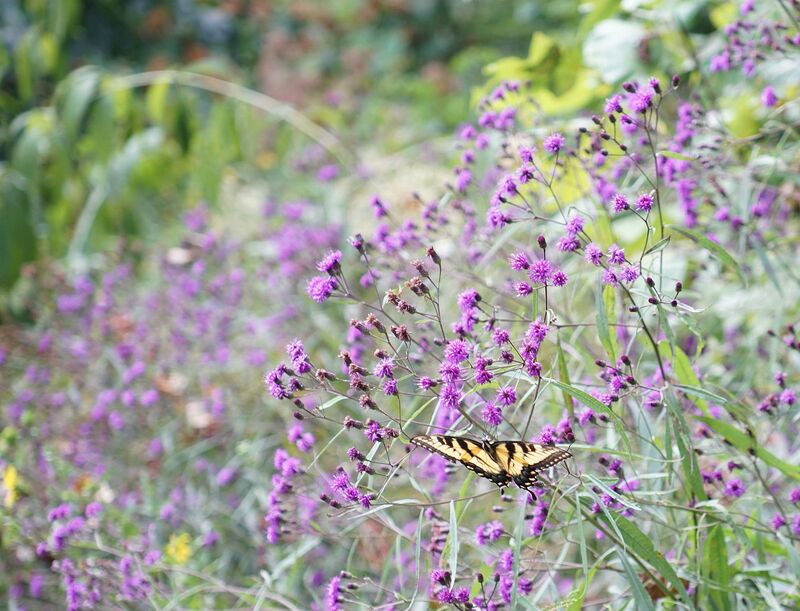 I would liken it to Butterfly Bush in terms of attention but it has a far more limited bloom time.